Is a nursing license defense attorney really necessary? That is the question many callers have. Some anonymous nursing forum members claim that an attorney is not necessary and settlement in the form of probation can be reached with the Board of Nursing without spending a dime on legal representation. The truth is that sometimes unrepresented nurses are offered probation (perhaps more so when the Board has a weak case), but for other nurses saving a few thousand dollars on attorney fees results in the loss of a career, tens of thousands of dollars satisfying probate conditions over several years, or the loss of future employment opportunities. the attorney will make opposing counsel, who is already overworked with pending cases, invest a great deal of time and work if they want to take the case to hearing. Without legal representation opposing counsel can “walk over” the unrepresented nurse and even secure an unfavorable settlement on weak evidence. In short, one of the benefits of hiring a license defense attorney, just like a criminal defense attorney, is to elicit settlement or abandonment of the action by triggering extended procedure, assembling mitigation evidence and highlighting substantive weaknesses in the case, all of which tax the limited time of opposing counsel. What am I giving up if I represent myself? Nursing clients who represent themselves sacrifice the indirect threats of a serious defense and additional workload for opposing counsel in favor of crossing their fingers and hoping for a merciful boilerplate settlement offer, even if such a settlement is detrimental to their professional record, limits future employment opportunities and imposes thousands of dollars in expenses satisfying probate conditions that last several years. If you received an Accusation seeking revocation of your license or Statement of Issues denying your license, need to reinstate your previously revoked license or are having difficulty receiving authorization to test for the NCLEX, call license defense attorney Michael Benavides at (916) 596-1018 for a free phone consultation. Michael Benavides is a license defense attorney representing nurses across California. 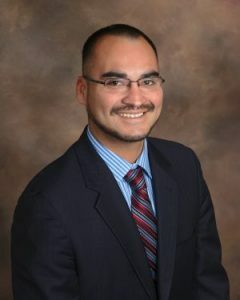 After graduating from law school Michael Benavides received an LLM in Health Care Law from American University. During his tenure as a California attorney Mr. Benavides has developed a specialty practice defending community care facilities and health care professionals in license revocation actions. As a license defense attorney practicing before the Office of Administrative Hearings Mr. Benavides can aggressively defend your nursing license or reach a stipulated settlement with the Board or Registered Nursing or Board of Vocational Nursing and Psychiatric Technicians. The Board of Nursing issues an Accusation or Statement of Issues for violations of the California Code of Regulations and Business and Professions Code. Many of these alleged violations fall into 3 groups: (1) chemical dependency or substance abuse; (2) criminal convictions; and (3) patient care. The stress of work and availability of controlled substances enhance the risk of substance abuse within the nursing profession. As a result, many nurses fall victim to chemical dependency and substance abuse. To combat substance abuse within the profession the Board of Registered Nursing created the Diversion Program to identify nurses with substance abuse issues and provide treatment and rehabilitation for participants. Despite these agency safeguards some nurses fall victim to drug or alcohol abuse. As a result, the Board of Nursing may take action to revoke or deny a license for unprofessional conduct related to controlled substances, alcohol or medication. Defense of a nursing license for drug or alcohol use may involve evidence of mitigating circumstances, uncharacteristic conduct and rehabilitation. Many people engage in uncharacteristic acts that lead to criminal records. However, unlike the majority of individuals California Nurses also risk loss or denial of their license upon arrest or criminal conviction. Specifically, criminal convictions that the Board of Nursing deem “substantially related” to the qualifications, duties or functions of nursing can lead to license revocation or denial. Common crimes resulting in license revocation or denial include DUI, drug offenses, assault and theft. Defenses to the charge that a crime is substantially related to the practice of nursing include character evidence. First, the conduct resulting in the conviction may be uncharacteristic and thereby does not show a propensity to engage in conduct hazardous to the public or patients. Second, letters of reference from probation officers, supervisors, nursing program instructors and recovery programs can demonstrate changed behavior. Additional evidence may include Certificates of Rehabilitation and compliance with probationary terms or criminal restitution. Allegations relating to inadequate patient care can be insulting to nursing professionals. Nevertheless, it is necessary to rebut those allegations in a calm and reasoned manner in the Formal Administrative Hearing. To professionally defend unmeritorious patient care allegations many nursing professionals choose to retain legal counsel.